Last weekend TBS ran a long report on resort condos on the Izu Peninsula, focusing mainly on the Atsukawa Onsen region. The hook for the piece was an advertisement for a ¥20,000 condo. That may not sound like much of a bargain, but we’re talking sale here, not rent. The reporter visited the CI Villa condo, which is only 20 years old and commands a beautiful view of the Pacific. He wasn’t allowed to inspect the unit being advertised but he was able to visit another one of comparable size (43 square meters) and age. In any event, while the sale price turned out to be the real thing there were strings attached. The buyer would also have to pay more than ¥3 million in unpaid management and repair fees that have accumulated during the years since the unit was abandoned by its owner and seized by the authorities. And then, of course, the new owner would have to start paying these fees at a rate of ¥30,000 a month. As the reporter pointed out after learning all this, the condo is still a bargain. Not only does it come with a view, but the management fees entitle the owner to use the building’s elaborate spa facilities, swimming pools, and other amenities. He thought the place was a steal, but as he started talking to local residents and public officials he came to understand why no one was snatching up these low-priced properties (there were quite a few, and not just in CI Villa). He remembered the TV drama series, “Zeni no Hana,” that aired many years ago and which was set in this particular town. 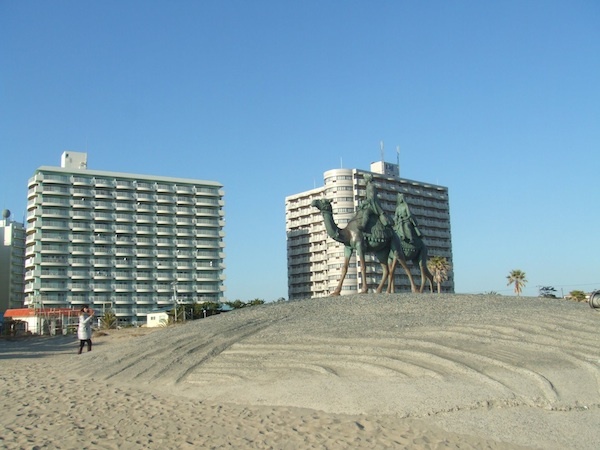 It was a huge hit and sparked a travel boom to Atsukawa and in turn a building craze. About half the residences in the region were built after 1975, with construction peaking during the late 80s bubble period. 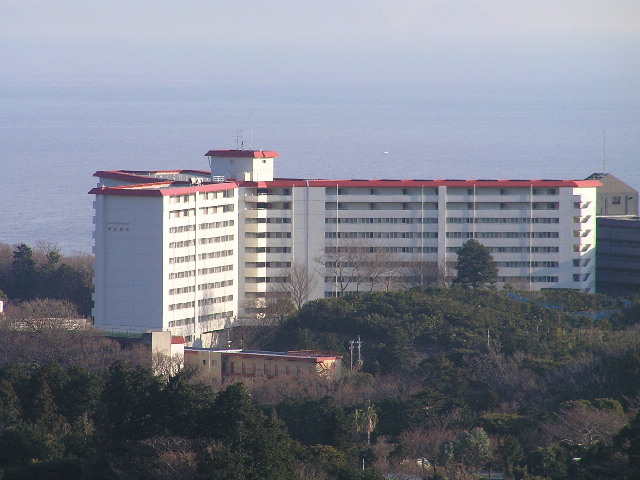 The average price of a condo in CI Villa when it was new ranged between ¥40 and ¥50 million. Of course, the end of the bubble also ended all that. One local merchant estimated that the number of tourists who come to the town is about “one-hundredth” of what it was during the peak times. And as more and more businesses who relied on these tourists left, the town fell into disrepair. Many people, it seems, do come down with an eye to buy property, most of which is in good condition, but once they see the boarded up shops and derelict infrastructure they get discouraged. The mayor said that the year-round population has aged even more quickly than the national average, and that welfare costs have increased six-fold since 1990. Because the tax base is so small, the town can’t keep up appearances. It’s a vicious cycle. One solution would be to exploit the region’s hot springs to produce and sell geothermal power. The temperature of the onsen approaches 100 degrees, and since local inns only need 50 degrees, the town thinks it could transform those wasted 50 degrees into revenues. The problem is that inn owners, who constitute the biggest block of business interests, are basically wary of geothermal, mainly because they think, wrongly, that it will sap the long-term onsen capabilities. One told the reporter that he had doubts about the local government’s belief that tourists would flock to the area out of curiosity and a desire to support such an environmentally effective project. Apparently, other onsen regions have had some success with such an endeavor.